We are committed to fulfilling your needs with the highest level of service. This committment to your total satisfaction is the foundation from which a solid business relationship is built. It is the reason that many of our clients return to use our services again, and refer their friends and associates to our firm. We realize that people do business with people they trust. We are interested in what is best for you, the client, and are committed to establishing a long-term relationship. You worked hard to achieve your financial position, and we help you to increase, and to protect, that position. Our firm serves clients with enthusiasm, honesty, and integrity. 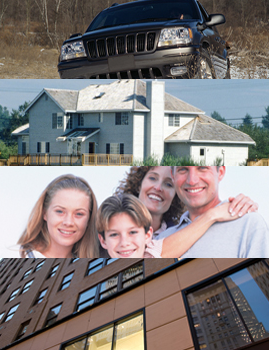 You will benefit from our extensive experience in the insurance and real estate industries, and our unwavering committment to exceptional client service. We encourage you to take advantage of the many features, and links, on this site. High net worth executives, business owners, partners, professionals at corporations, key employees, law firms, medical practices, investment companies, family offices, charitable institutions, and many other organizations have individuals with substantial personal liability exposures. In our litigious society, these individuals are among the most alluring targets of liability lawsuits because of their personal wealth. Excess Liability Coverage offers high limits of protection (often up to $50 million per person). To discuss coverage availability in detail please feel free to contact our office. Content Copyright 2019: Commerce Group, Inc.